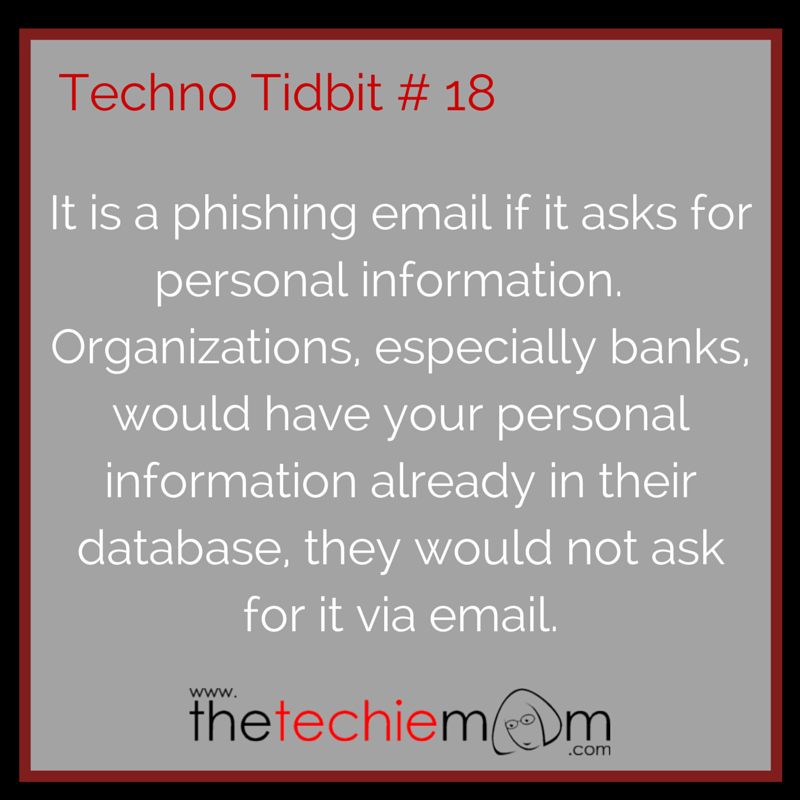 Techno Tidbit #18: What is phishing? Webopedia defined it as “The act of sending an email to a user falsely claiming to be an established legitimate enterprise in an attempt to scam the user into surrendering private information that will be used for identity theft.”. Sadly, we get this all the time, most of them goes to our junk or spam folder but sometimes they still end up in our inbox. One way to spot them is if they ask for your personal information. Organizations, especially banks, would already have your personal information in their database, they would not ask for it again via email. If you receive an email like this, delete it ASAP.